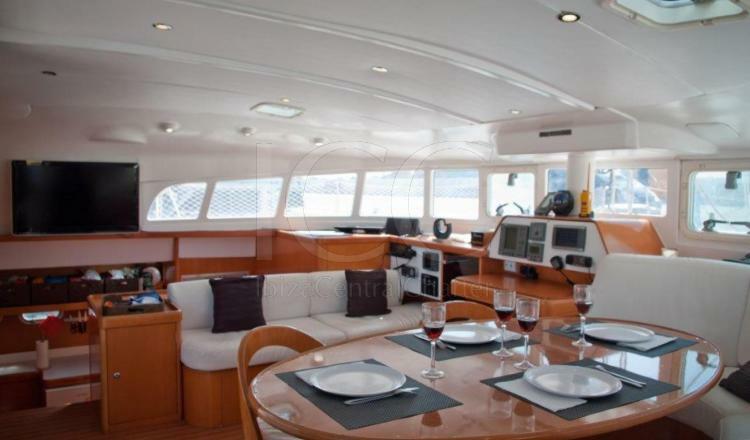 The Lagoon 450 with air conditioning combines exceptional comfort with magnificent sailing and motor features. 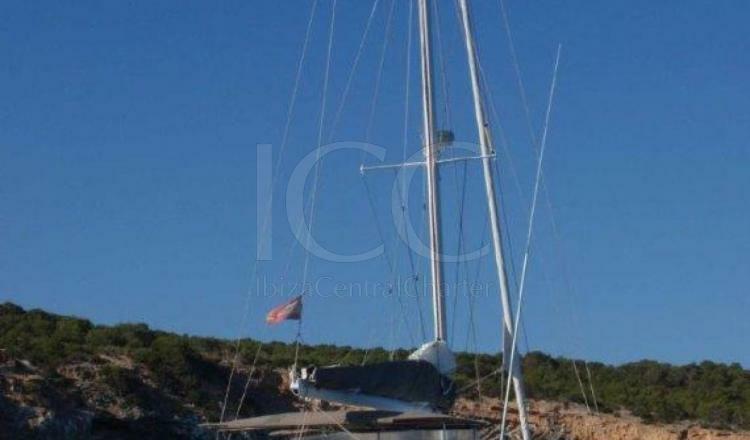 The Lagoon 470 is a catamaran that has a length of 15 meters and is equipped with the latest technology, luxury and comfort on board. Fully renovated in 2018. Its outdoor area is spacious and has a large bathtub with comfortable cushioned seats and a full table to enjoy a delicious snack with spectacular views. 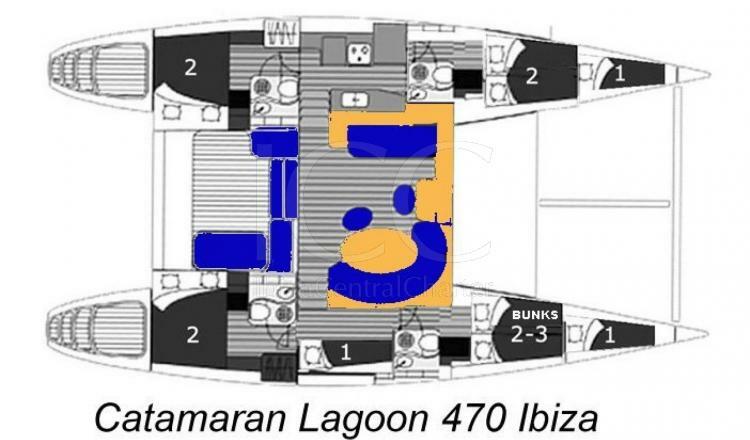 In addition, its platform and swim ladder ensure that taking a dip in the turquoise waters of Ibiza and Formentera is easy and comfortable. On the other hand, in the bow area offers a perfect space for sun lovers, their nylon nets are great to rest lying down while sailing. Its interior zone offers total comfort to its passengers. 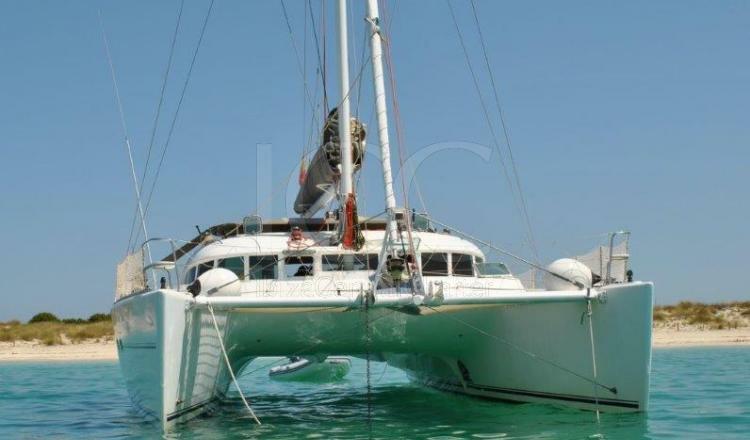 It has a kitchen, which, unlike other catamarans, is independent in such a way that it allows to separate the living room's ambience and the kitchen's atmosphere, avoiding odors when cooking. The kitchen is fully equipped, being the oven, dishwasher, microwave and coffee machine some of the amenities offered on board and that will make you feel at home. The living room has large windows with 360º panoramic views that allow the entry of natural light. As well as comfortable sofas with dining table and high definition LED TV, which can also be seen from the outdoor terrace by just opening the sliding door that connects the living room and the bathtub in a single space. 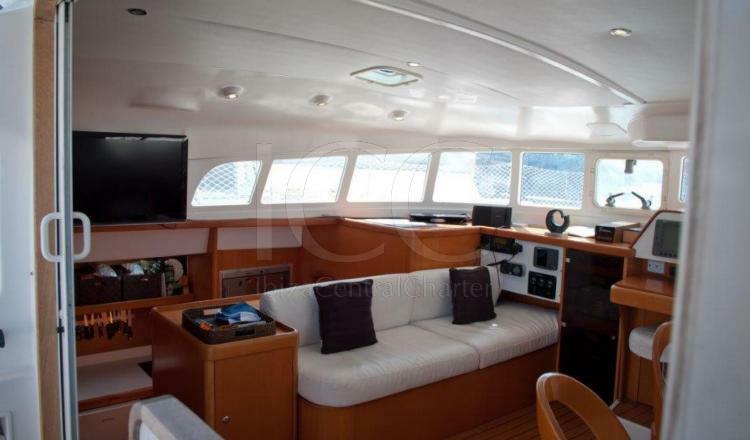 The Lagoon 470 has 4 double cabins very bright to accommodate its guests, with 4 full bathrooms. In addition to 2 individual cabins in bow enabled to accommodate 2 more people, which are usually used by the skipper and stewardess. Offering capacity for 11 passengers to enjoy a magnificent vacation for the day or 6 people with overnight. - Fuel: only for charter day. - Fuel: in rentals with overnight. - Weekly rental: Saturday to Friday.